OPEC exports have come under pressure this week from technical threats to oil fields, with Saudi Arabia's Manifa problems grabbing the headlines. Saudi Aramco CEO Amin Nasser, while addressing the World Petroleum Congress in Istanbul, stated that the outlook for oil supplies is “increasingly worrying”, due to a loss of $1 trillion ($1000 billion) in investments last year. 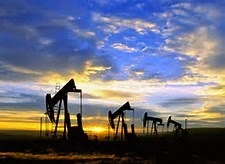 The skepticism shown by a majority of financial analysts and oil commentators about the real threat to global oil (and gas) production volumes was countered by the news that the production at Saudi Aramco's main offshore oil field, Manifa, has been hit by technical problems. The impact of this possible technical mishap is not to be underestimated. Aramco's Manifa is one of its biggest oilfields, with a targeted production capacity of around 900,000 bpd, to be brought onstream in two phases. At present, the main issue being reported on is that there has been corrosion of the water injection system, which is used to keep pressure in the reservoir. No facts have emerged about the total impact on the Manifa production capacity, but unnamed sources are already quoting ‘millions of dollars' of losses. The current reports are not really worrying, as corrosion control in a water injection system is only a technical challenge. Maintenance of the field is expected, resulting in a shut-down of production – something that has been confirmed by Sadad Al Husseini, former VP Aramco. If the all production needs to be shut-down, Saudi Aramco's overall production capacity will be cut by 900,000bpd. The current corrosion problem at Manifa is not new when looking at the overall situation of some giant fields in the Kingdom. Aramco has been fighting an uphill battle for years to counter existing corrosion threats to the Ghawar, Manifa and other fields. The problem is immense, as main production wells could be completely blocked if no solutions are found for corrosion and scaling issues. Until now, no real solutions have been found, except the traditional mitigation in place. At the same time, Saudi Arabia's export volumes have been hit by high local summer demand for crude oil and products. The Kingdom already stated that it will cut overall crude oil shipments by around 600,000 bpd in August to balance the rise in domestic consumption during the summer. Increased local demand is not only a growing problem for Saudi Arabia, but for most Persian Gulf producers. Saudi August crude exports could fall to around 6.6 million bpd. A majority of cuts will be made to export volumes to the U.S. and Asia. Saudi sources expect that Saudi crude volumes to the U.S. will be below 800,000 bpd, while exports to Asia will be around 3.5 million bpd (decrease of 200,000 bpd). Europe's imports will be only down by 70,000 bpd, reaching a level of 520,000 bpd. When looking at the Saudi situation, the need for new investments and increased technology development is clear. Saudi Aramco's investment of $300 billion in the next 10 years will, in large part, be focusing on the new technology needed to keep existing projects running while opening up new volumes in the future. Its drive to increase overall gas production will also be based on a two-fold approach. One is to counter growing domestic demand for natural gas as a power generator. At the same time, with most focus on crude oil production, gas will need to be reinjected into the field to keep production at necessary levels. Both targets will only be possible to reach if the growing technical challenges in gas production in the Kingdom, due to sour gas issues, can be countered effectively. The Saudi situation is not different from its neighbors. The Kingdom has the same challenges as its current main political adversary, Qatar. The latter's national oil company, Qatar Petroleum, has only been able to maintain crude oil production on its main offshore oilfield Al Shaheen through heavy investments from its former joint-venture partner Maersk Oil. After the Danish concession, the operations are set to be led by French oil major Total. The Al Shaheen oil field is located in Qatari waters, 80 kilometers north of Ras Laffan, with facilities consisting of 33 platforms and close to 400 wells. Currently producing about 300,000 barrels of oil per day, Al Shaheen is Qatar's largest offshore oil field and one of the largest offshore oil fields in the world. The production has been one of the main revenue generators for the Qatari government. To keep production up, QP and Total have already announced the need for a $3.5 billion investment plan for the exploration of the Al Shaheen field. This was reported during the launch of the North Oil Company (NOC), which was established a year ago as a partnership between a wholly owned affiliate of QP (70 percent) and a wholly owned affiliate of Total (30 percent). The challenges for this field are still immense. Already in 2013 QP asked all foreign operators to come up with redevelopment plans to increase recovery rates and, if possible, production at its mature fields. Between 2012 and 2016, Maersk had been working on field development, slated to have cost $1.5 billion, to sustain output at current levels. Sources indicated at that time that excessive associated gas at Al-Shaheen could prevent it from increasing crude output. Other geological challenges at the field include thin and stretched reservoirs. More knowledge of these thin reservoirs and extended wells is still needed. The fact that the French oil major Total has now taken over is not a surprise, with its technical capabilities and financial strength needed to counter the current problems. Qatar's remaining fields are experiencing similar threats. Amin Nasser's aim is to go beyond global oil markets. His assessments are based on regional (OPEC) developments, as production of oil and gas in the so-called cheap oil regions is also under threat. These technical challenges will need an increased amount of investments, which will be hard to come by in today's market. If Saudi Aramco or QP are already experiencing production threats, the situation in other production regions, such as Nigeria, Libya or Mexico, could be even more dire. With increased demand for crude oil and petroleum products still shown in all international assessments, the market will need to react. A production shutdown due to technical issues is not as easy to counter as a weather or geopolitical issue. More money is needed, otherwise production fields will be closed down and international clients, including utilities or chemical companies, will bear the brunt of it. A shutdown of one or two giant fields will take the market from an oil glut to an oil shortage within weeks. Assessments that a shutdown in the Middle East or a major OPEC producer can be covered by new production elsewhere is not entirely unrealistic. But the current production increases in Nigeria, Iraq and Libya, will most probably be temporary. Growing political instability in Libya, as the LNA is targeting control of the country, or the re-emergence of the Niger Delta insurgency, will put a cap on increases.